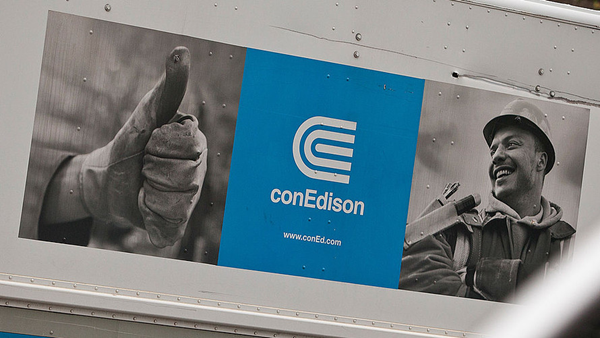 Con Edison has the highest percentage of “sell” ratings from analysts among all S&P 500 stocks. A new set of data from FactSet underlines why investors need to take stock ratings provided by brokers with a grain of salt: Not a single S&P 500 company has majority “sell” ratings. A year ago there was just one. Of the 11,257 ratings that analysts have on S&P 500 SPX stocks, 49% are “buy” ratings, 45% are neutral — and only 6% are “sell” ratings,” according to a June 23 report from FactSet analyst John Butters. A “sell-side” analyst is one who works for a brokerage firm or on the brokerage side of an investment bank, providing research reports and ratings to brokerage clients and often making them available to the financial media. The firm’s bankers also use the reports when pitching for business. A “buy-side” analyst is one who works for professional investors, including hedge funds. So sell-side analysts are the ones being quoted most often, especially when you see monotonous quarterly headlines saying which companies have beaten or missed consensus earnings estimates. Their earnings estimates and ratings, in turn, can help drive stocks higher, so it’s important to consider their opinions. It may not surprise you that most companies beat estimates each quarter, no matter what is going on in the economy. If sales and earnings are weak, analysts will often lower their estimates heading into earnings season, sometimes in response to companies lowering their earnings guidance. A conversation with almost any sell-side analyst will highlight a deep level of knowledge of the industry he or she covers, along with an approach to ratings that is based on price targets, which themselves are based on estimates for sales, earnings and cash flow. But there’s no denying that analysts shy away from placing the equivalent of a “sell” rating on a stock, or that “good news” (including good ratings) makes it easier for brokerage companies to earn commissions as investors buy shares. In other words, investors still face the same challenge of figuring out how to get the best information on which to base their investment decisions. This is why it pays to do your own research (reading not only analysts’ reports but company filings, news articles, and industry and academic reports), which your broker or investment adviser can help you with, at least partially. Form your own opinions about a company’s strategy to dominate its industry over the long term. Analysts are most “optimistic” about the health-care and information technology sectors, according to Butters, as both have the highest percentage of “buy” ratings: 57%. Here are ratings percentages for all 11 sectors of the S&P 500. Note: Because of rounding, the percentages for the ratings may not add up to 100%. So positive sentiment is low for the utilities and telecommunications sectors, but none of the sectors have double-digit levels of negative sentiment. You can click on the tickers for more information, including news, estimates and company filings. There are really 11 stocks listed here because Alphabet Inc. (Google’s holding company) has two publicly traded classes of common shares. It’s fascinating to see that even on a list of stocks with the highest percentages of “sell” ratings, there is one company — News Corp. NWS the parent company of Dow Jones and MarketWatch — that still has a majority of analysts recommending investors buy the shares.